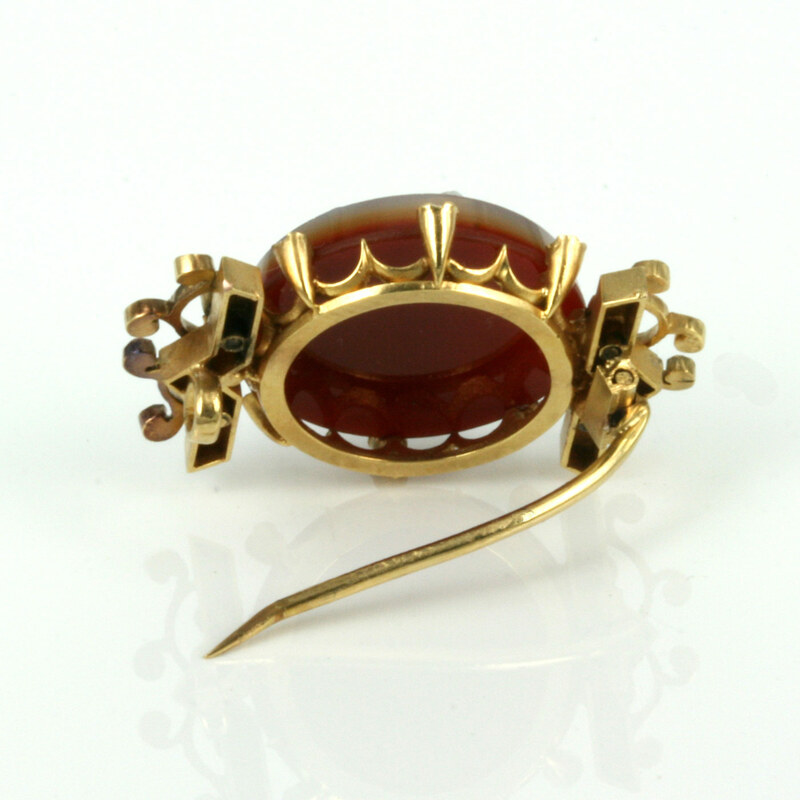 Product code: ES3508cc Categories: Sold Items, Sold Jewellery. The vast majority of cameos have long been carved from shell and while this can result in superb quality cameos, ones from harder material such as this one are far more rare to come across. 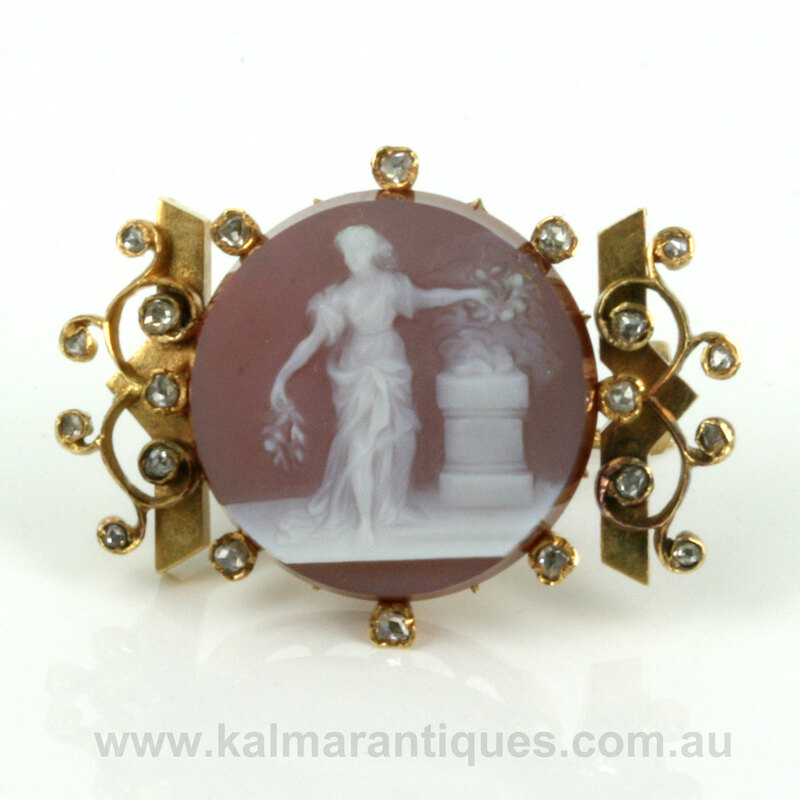 This delightful antique cameo brooch is superbly hand carved from sardonyx which is a naturally banded material resulting in different colours as the cameo is carved. With the delicate soft background colour used to the maximum advantage of allowing the white cameo itself to stand out even more. 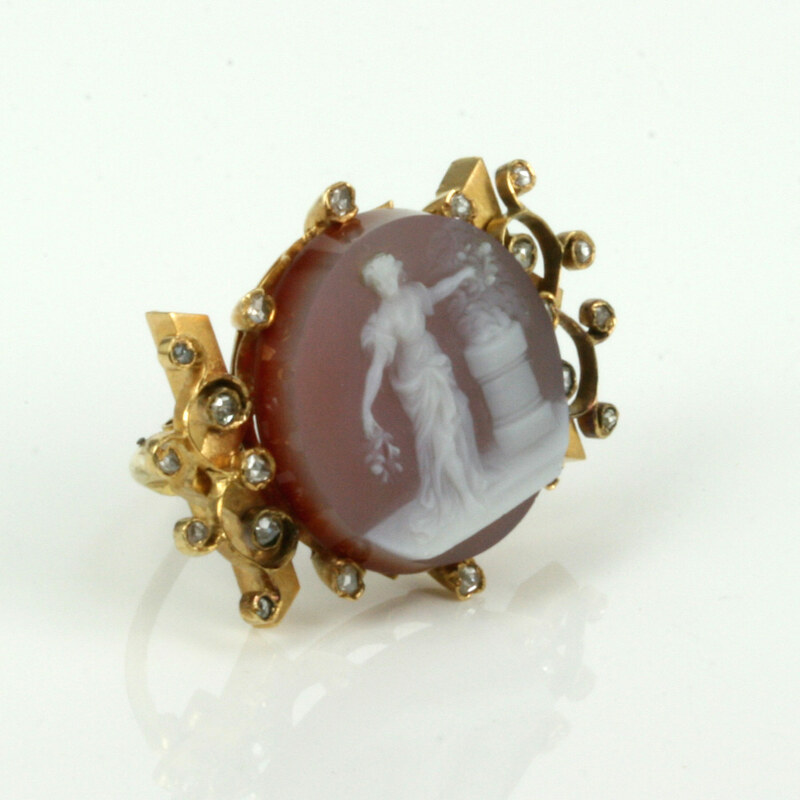 Dating from the Victorian period of the 1880’s, this cameo brooch was hand made in 18ct yellow gold and set with 20 rose cut diamonds. The rose cut diamonds total 0.22 carats and have all the charm of genuine antique hand cut diamonds. From left to right the brooch measures 3cm across by 2.1cm and is the perfect size to wear all the time. The quality of the carving of the cameo is just superb and the fine detail will have you admiring it for hours on end.